It's not easy being green unless you can simply take off your green frog mask! 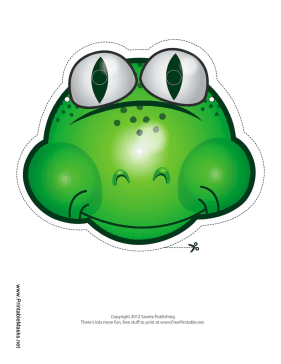 Now you can with this classic amphibian disguise, which can easily be cut out and attached with string. This mask is free to download and print.